This is a twist on our traditional family salad we have at Christmas, but I find myself making it whenever someone asks me to bring a salad somewhere. 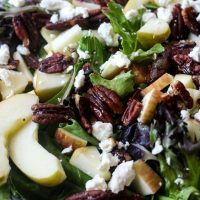 This is a simple salad so the hardest part is candying the pecans. If you prefer you could just toast them, but they do taste extra delicious when they’re candied. I love how easy salads are. They make a perfect last minute side dish. They’re so flexible too. Don’t have apples, substitute pears. Don’t have pecans, use walnut. Don’t have feta cheese, a good cheddar or blue cheese would be delicious. In a heavy skillet over medium heat, melt the butter. Toast the pecans for a few minutes and then sprinkle with the sugar and salt. Cook one more minute. Watch carefully so they don't burn. Allow them to cool on paper towels. 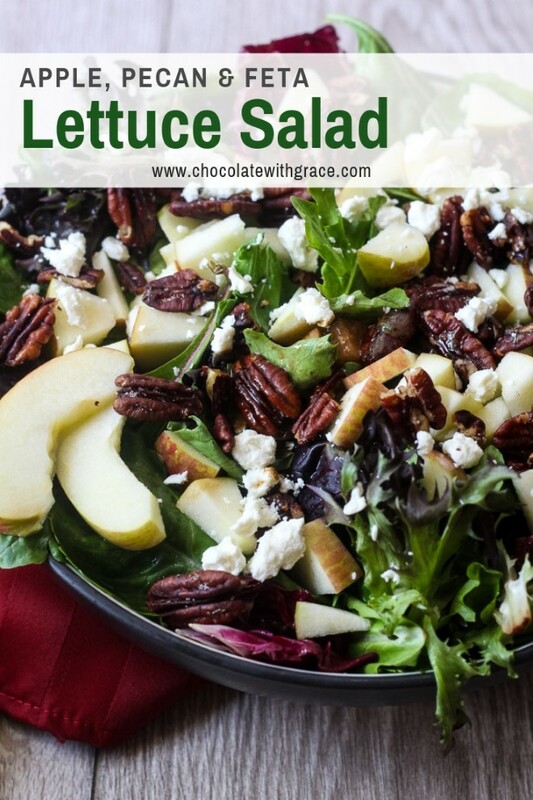 Place the torn lettuce in a salad bowl, top with cooled pecans, diced pears and blue cheese. Dress the salad immediately before serving. 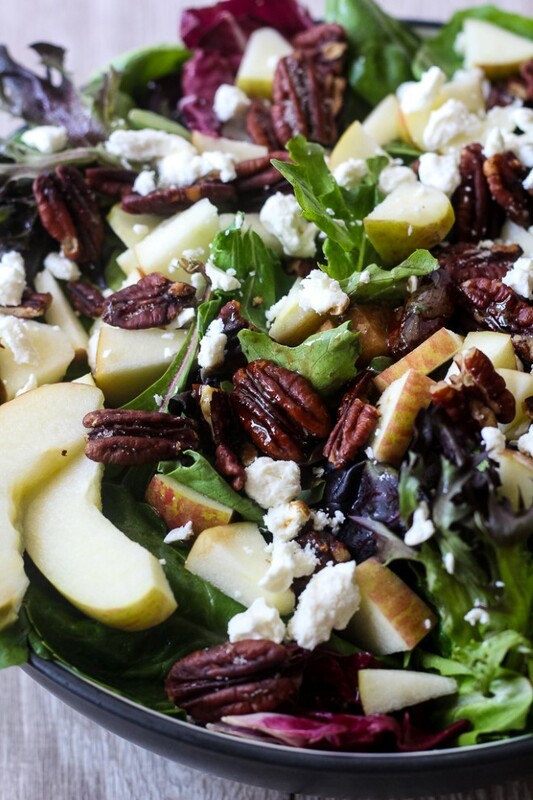 There are lots of delicious variations of this salad around. Check out Roasted Brussels Sprout Salad with Apples Feta and Pecans from Crazy for Crust. 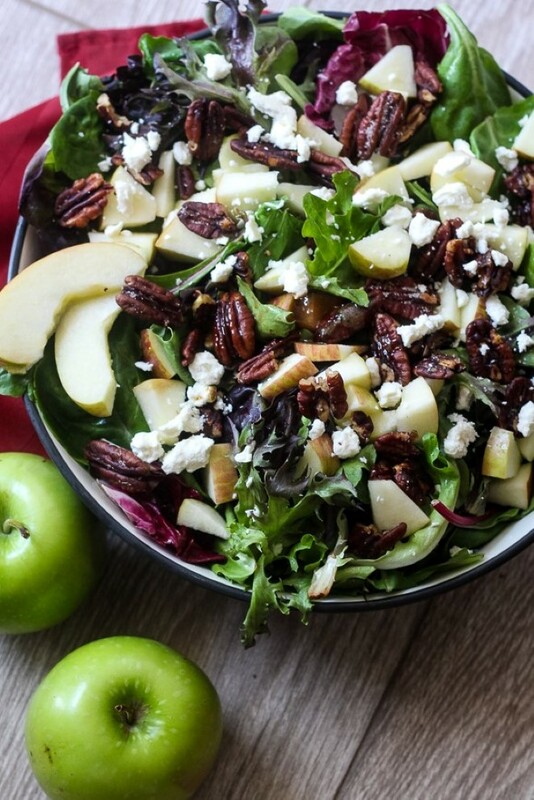 Or a Cranberry Apple Pecan Salad sounds like a delicious variation. 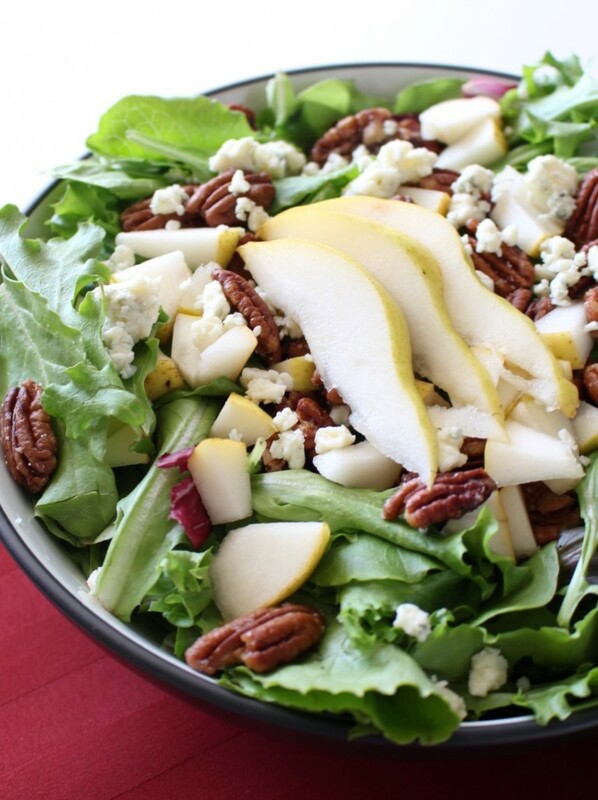 Or if you want to make a whole meal out of this salad, try a Quinoa Apple Spinach salad for more nutrition.